It’s a well know fact that most Canadian Whiskey marketed as a “rye whisky” is usually just a facade — there is typically little actual rye grain used in their production. Most whiskeys we think of as “rye” are made with corn, with maybe dash of rye grain. However, in the purist style, Canadian Club has released a Chairman’s Select 100% Rye Whiskey which is just what it claims to be. While I’m normally no huge fan of Canadian Club, I absolutely love the idea of making a 100% rye grain whiskey. Despite rye being often associated as a Canadian whiskey (in the States they require any whiskey marketed as ‘Canadian’ to be made with at least 50% rye grain), Canada has no legal distinction, only requiring Canadian whiskey to be made “in the spirit” of traditional ryes. I think that’s a bit of a cop-out, and it has always irked me. This, however, is exactly why I decided to try CC’s new Chairmen’s Select, to see if it was just a clever gimmick, or if they actually could put together a decent whiskey. I’m pleased to say it was the latter. Chairman’s Select has a darker, more robust colour than straight CC, and I was hoping the flavour would follow suit. On the nose, it has an explosion of spice, really potent black pepper and cedar wood. Right away, even to the uninitiated, it’s easy to tell this isn’t your average bottom-shelf rye. Even more than that, after the rather potent alcohol fumes subside, hints of orange zest and other fruit become apparent, a lovely surprise for someone used to vague whiffs of oak and maybe vanilla from the garden variety pretend-ryes. 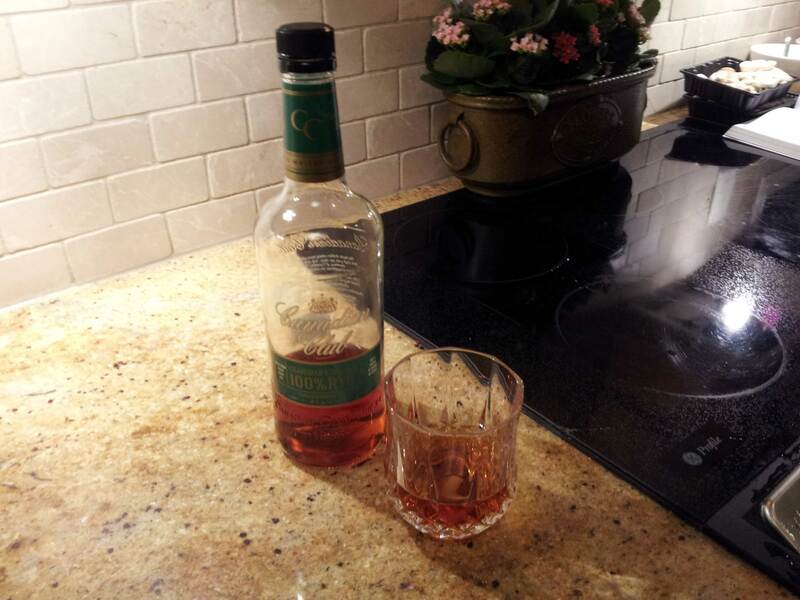 The flavour was profoundly good for such a reasonably priced whiskey. Chairman’s Select appeared to have a heavier body than regular CC, and it backed up the weight with a ton of flavour. Dried fruit, wood spice, a bit of cigar tobacco and, of course, the black pepper punch were all agreeably harmonized. It was an extremely masculine experience drinking this rye neat — I dare say it might be too much for a Scotch drinker used to more subtle Speysides. If you’re into classic bourbons or Islay scotches with a bit more oomph than this rye might be for you. 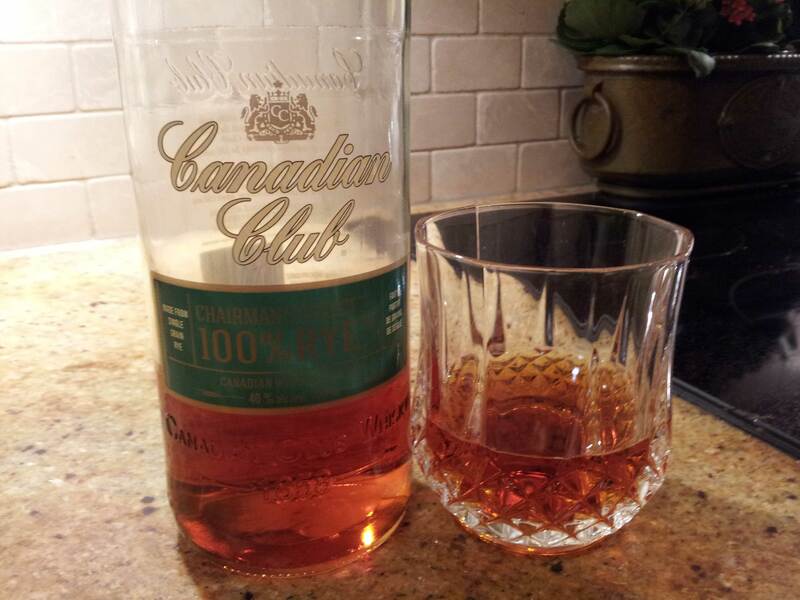 I was too quick to write off Canadian Club with their 100% rye experiment. Frankly, it was a rousing success at a great price. I highly recommend you try this throw-back whiskey if you’re looking to spice up your usual rye experience. Chairman’s Select is definitely good enough to sip it slow. Thanks for the comment! I agree — definitely worth switching to if you’re a CC drinker.